I rolled into Gainesville on one of those days that the Chamber of Commerce highlights when trying to convince new business to set up shop in its town. Glorious weather and spring break coincided making Gainesville the perfect place to spend a couple of days researching writer Padgett Powell and leisurely strolling the grounds of the University of Florida. Folklore has it that the University of Florida and Florida State were built in Gainesville and Tallahassee respectively because land was cheap and educators wanted to keep the young people isolated and focused on their studies. Amazingly both schools continue to land in the Top 20 of Party Schools in the United States; as you can see, the goals of professors and students don't always align. The Gators and the Seminoles continue to be the football powerhouses in Florida. They are like the two older brothers in a large family who taunt one another until a wrestling match breaks out while the rest of the siblings are forced to stand around and watch. University of Florida football has produced Steve Spurrier, Tim Tebow and hundreds of millions of dollars for the school. The school is also the birthplace of Gatorade - the original sports drink- formulated by scientist at the College of Medicine to help the football team replace body fluids while playing football in the Florida sun and humidly. PepsiCo now owns the beverage and sells it worldwide. In 2012, Forbes valued Gatorade at $4.8 Billion and number 86 on their World's Most Valuable Brands list. Not too shabby. 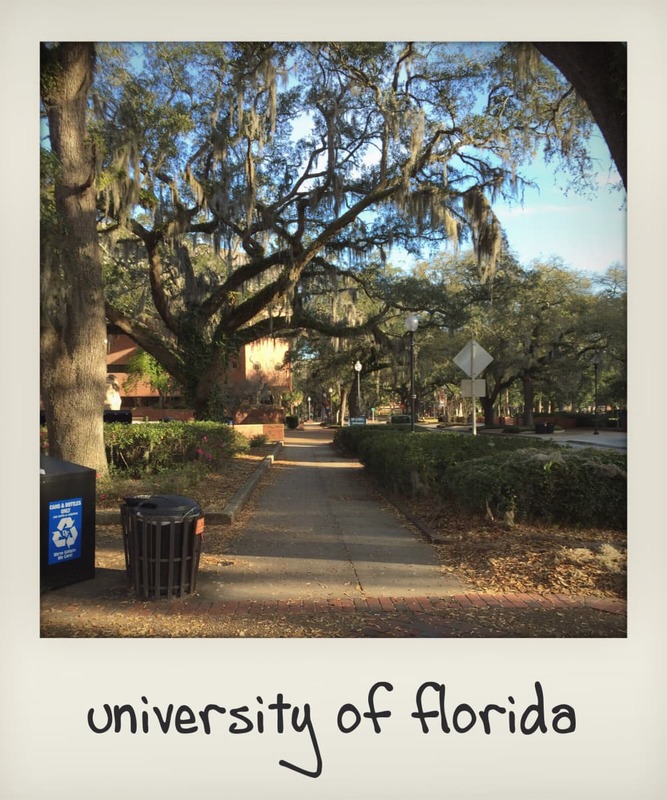 I spent my two mornings in Gainesville exploring the University and the town on foot. Both are very walkable and since it was spring break I virtually had the place to myself. An occasional runner or security guard would jog or drive passed me as I enjoyed the morning light from the rising sun. The University is comprised of sturdy looking buildings made of red brick. I got the feeling this was a place that educated people to "do things" and then sent them out in the world to do them. University of Florida architecture is not inspirational. It is practical, well cared for and houses some of the best public research groups in the country. Red brick is one of my favorite building materials. Buildings made of these long lasting extruded clay bricks were a staple of the industrial era and are found up and down the East Coast. Today many of the shuttered manufacturing plants are being given new life by developers and community leaders who appreciate the beauty of red brick, high ceilings and large window. 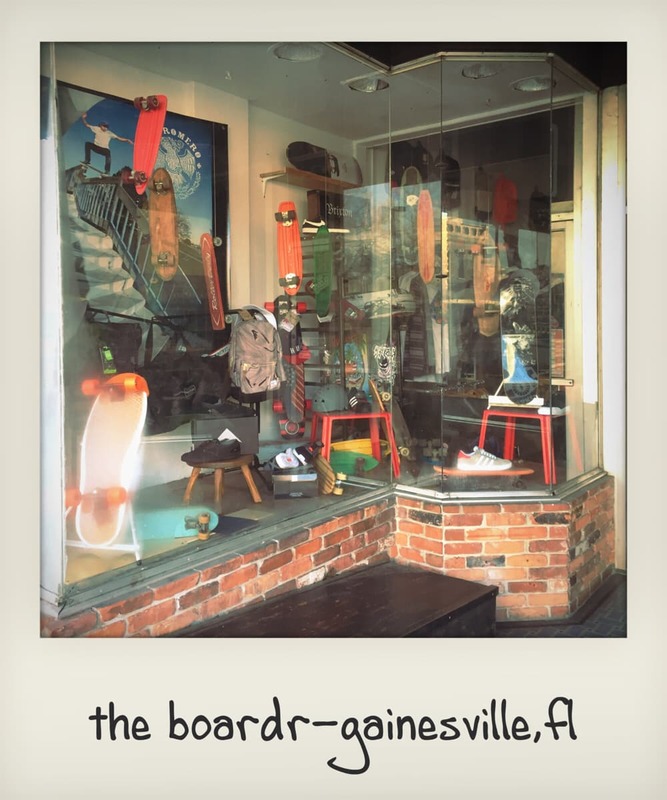 Gainesville is home to an estimated 127,500 locals and when the University is in session 52,000 students infuse the area with energy and money. As I walked University Avenue, I found shops like The Boardr, Unified Training Center and BodyTech closed in honor of spring break. In case you are wondering, Boardr is a store with all things skate boarding, Unified teaches fencing and BodyTech specialized in tattoos and piercing. I spent two evenings enjoying the company of the locals along with fellow travelers while continuing my study of the great mimosa migration. I was surprised to learn Frank Meiser invented the mimos circa 1925 in the Hôtel Ritz Paris. 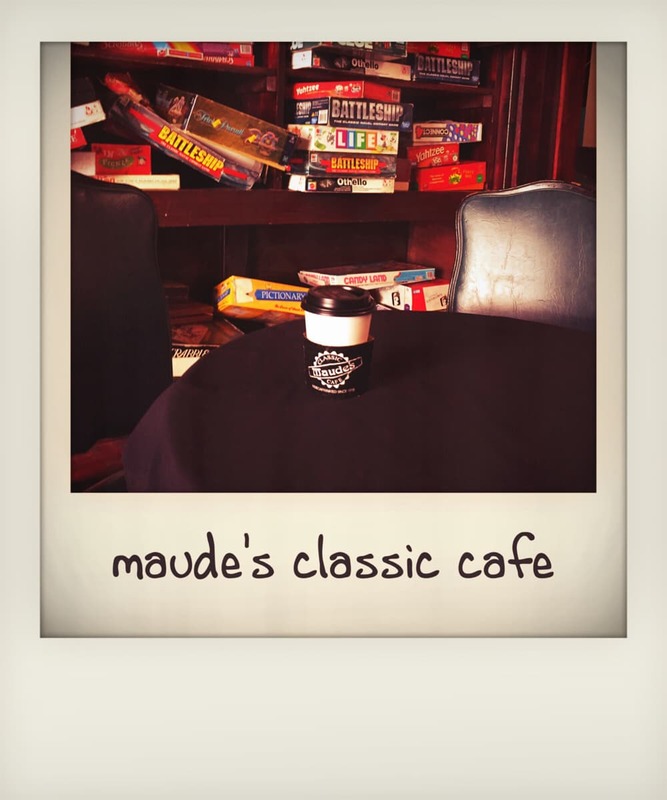 Midmorning I searched out and found Maude's Classic Cafe, a local coffee seller. I am also surveying lattes on the Pride of Place tour and while Maude's was tasty, the best to be found is back home at the Peekskill Coffee House. All this brings me to our next author, Padgett Powell. Mr. Powell was born in Gainesville on April 25, 1952. A time before Disney moved in and bought up all the orange groves and built a theme park. He is a rare citizen of Florida in that he is native to the state. As a native Floridian he witnessed Claude Kirk get elected as Florida's first Republican governor since Reconstruction, the Miami Dolphins play a perfect season in 1972 and the development of Gatorade at the University of Florida in 1965. Like me, he states he grew up in Jacksonville, Florida and hung out with the Lynyrd Skynyrd crowd in high school. I continue to be a fan of Southern Rock particularly the further north I move but in my high school days I was all about the English Invasion, Beatles, Rod Stewart and the Small Faces and the Yardbirds. Today Powell is a Professor at U of F in its MFA Program. Mr. Powell has clearly decided ideas about being labeled a Southern writer and I have been reading his novel Edisto looking through that lens. More on that tomorrow. As with most things in life, traveling alone has its pros and cons. I have come upon people and places on this journey that caused me to wish Marty were with me to share the moment. Conversely, alone I am able to do what I want, when I want and that freedom is what led me to stop at Rocky Mount, NC for the night. Rocky Mount is at exit 138A at US 64 on the I-95 corridor between Roanoke Rapids and Lumberton. I've driven under the large, green and white sign on I-95 that points the way to Rocky Mount multiple times and this time I gave in to my urge to stop. In my mind, the name conjures up visions of Mayberry, Andy Griffith, Opie and Aunt Bee. Mayberry was the fictional town in the 1960s TV show, Andy Griffith, which was actually based on the North Carolina town Pilot Mountain. So as you can see, there is no reason for me to believe that Rocky Mount is similar to Mayberry but I refuse to allow a fact to get in the way of my belief. As I approach the Rocky Mount I-95 exit I see a billboard that declares, Rocky Mount: The place you stay on your way to someplace else. My first thought was, "Oh honey". That is what my daughter says lovingly when someone, particularly a family member, shows a blatant lack of self-esteem or has gotten his or feelings hurt unnecessarily. She will also give out a hug and then tell you in a very nice way to get over yourself. I quickly learned Rocky Mount has a clear understanding of its value to the travelers on Interstate 95. Every conceivable moderately priced hotel and chain food restaurant is clustered together waiting to welcome the weary traveler. Comfort is found through the familiar. The kind gentleman behind the desk at the Hampton Inn gave me a list of restaurants in the area and of the 53 on the list only one was local. If traveling is really about the journey and not the destination, then Rocky Mount wants you to know this part of the journey is safe and predictable. Much to the surprise of the desk clerk, I asked for directions to the town. In keeping with Hampton Inn's policy to be friendly and helpful, he gave it to me but I could tell he wasn't happy about it. He so wanted to say, "How about going over to the IHOP and have breakfast for dinner or better yet, head over to the McDonald's where they have soft serve ice cream?" But I was determined to explore the area before hunkering down for the night. 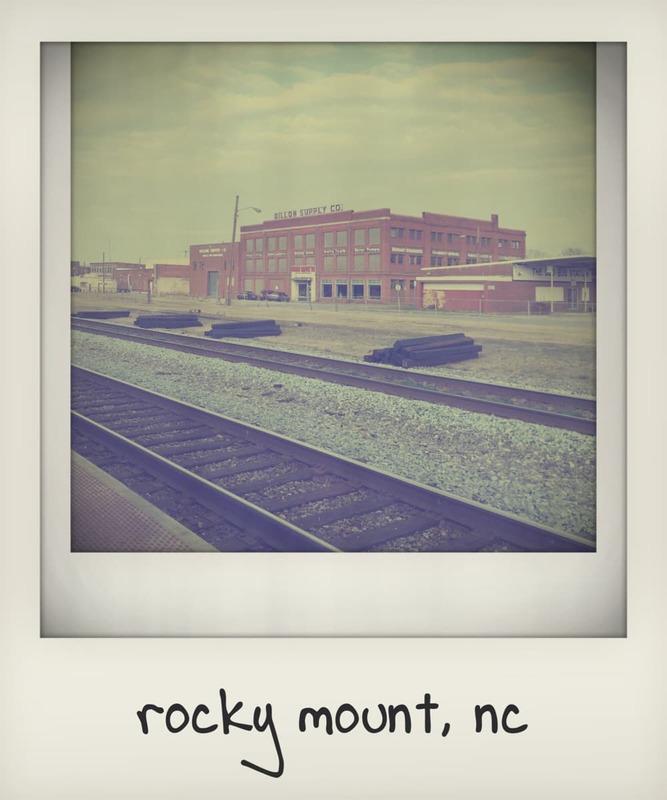 Since moving to New York, I have become interested in how small towns survive and I wanted to get a feel for Rocky Mount. In 2015 more people were leaving the State of New York than were moving into the state. The only place exempt from this shift is New York City. I've watched as small towns in New York struggle under massive tax burdens with no plans to attract new business or increase population growth. As I drove to Rocky Mount's town center I noticed retired red brick factories that have been converted to other functional spaces. Restaurants, offices and retail shops now inhabit these great old buildings. Next, came the large homes with wrap around porches that are reminiscent of another time. The houses looked a bit worn but at least they are standing. So many neighborhoods like this have been bull dozed to make room for more "modern" buildings. 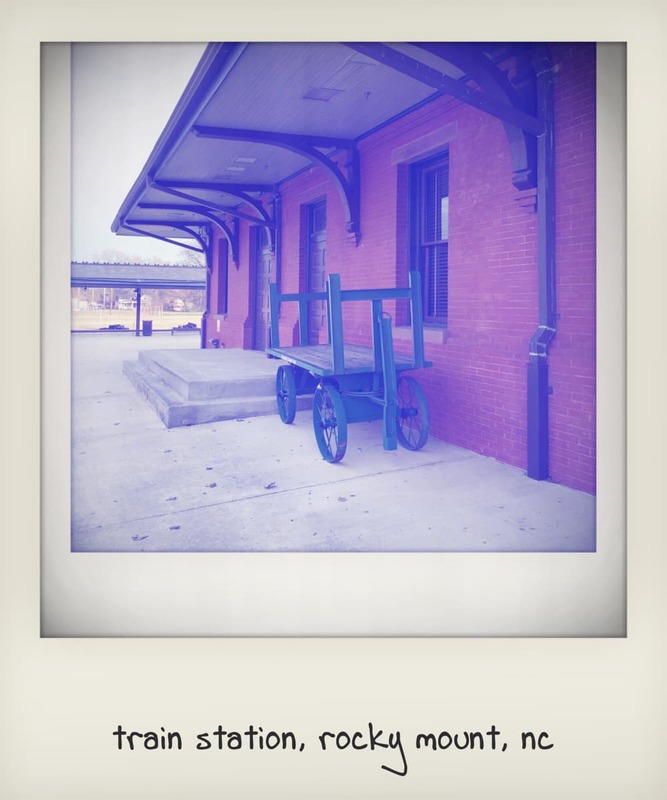 My favorite place in the whole town was the train station. The building, the loading area and the grounds are immaculate with original pieces of art decorating the public space. Next to the train station is a strip of retail buildings that face hopefully towards the railroad tracks. These refurbished storefronts sit side-by-side like lovely young girls at a spring cotillion. Each store is unique in design and updated to reflect today's taste while honoring the history of the area. My brief tour of Rocky Mount convinced me that the citizens of RM understand what is of value in their town. I am glad I took the time to visit. I encourage you to stop by Rocky Mount, NC the next time you are traveling I-95 or if there is a place that calls out to you, take the time and stop! As the song says, let's start at the very beginning, a very good place to start. How did I select Michael Chabon for my Pride of Place tour? Just lucky. I was compiling my own list of authors - particularly down south where it is sunny and warm in February and March - when I came across Business Insider's compilation list, The Most Famous Authors From Every State. Chabon took the Washington, DC. spot though my initial response was to challenge his designation until I read the comments at the bottom of the article. It seems that everyone had a favorite to put forth so I let it go. (Yes, apparently I am communicating through song lyrics today.) Embarrassingly, I admit I did not know who he was nor had I read anything by him. I decided to take this opportunity to learn about the author BI designated as the Most Famous Author from DC. I did learn as I continued my research that I knew of his work. Michael Chabon is a prolific writer and storyteller. As I sit around complaining about the angst and anguish of writing, Michael Chabon writes. He writes novels, he writes screenplays, he writes magazine article and honestly, I wouldn't be surprised if the man writes out his family's weekly grocery list. What is the best part of choosing MC as my first author? He has written extensively on growing up in Columbia and what it meant to him. His piece Maps and Legends is a thoughtful look at how his childhood and Jim Rouse's "Grand Experiment" coincided and then after his parent's divorce, diverged when he moved away from the area. Chabon declared Rouse's grand experiment a failure and expressed his anger at learning the "bitter truth" about the world after leaving Columbia. I do empathize with him. I come from a generation whose parents told us we "could be anything we wanted, including be President of the United States". Our parents failed to mention, anyone could be President if they had an Ivy League education, access to great sums of money, willing to accept all manner of libelous and false utterances about their character and were male. So how do I know his work even though I hadn't read his books? MC, world builder extraordinaire, wrote the screenplays for Spiderman 2 and John Carter. I am HUGE film fan and viewed both these films in the theater. If you haven't seen John Carter and many people haven't, some rainy Saturday or Sunday afternoon tee up the movie and enter the world of a swashbuckler in space. I was in a chronological mood when I choose to read his first novel The Mysteries of Pittsburgh. After MC's parent's divorce his father moved to Pittsburgh and Michael spent his summers there with his dad. The Mysteries of Pittsburgh explores, Pittsburgh, sexuality and the relationship between a son and his father. The reader takes the journey with Art Bechstein as he comes to understand what it really will take to be his father's son. In the following section from The Mysteries of Pittsburgh, Chabon creates a mise-en-scéne that captures the warm glow of summer and the desires of youth. Each time I reread that passage I physically feel summer and remember being young and oblivious to time. I see these people. I know these people. Ultimately, we feel the tinge of sadness over the path not taken as our reluctant hero takes charge of his life. The trees are bare and the landscape is brown in February in Columbia, MD and yet, the buildings still recede into the background. I arrived to open spaces and wide roadways that are immaculately maintained by groundskeepers dressed in matching green uniforms that mirror those of suburban mall groundskeepers. That should come as no surprise since Columbia was manifest by developer James 'Jim' Rouse out of 14,178 acres of Maryland farmland. A case can be made that Jim Rouse is the father of the suburban "Mall" though others in the field are put forth for that honor too by their proponents. My first response is to say that Jim Rouse was more than a Mall developer but that would impinge a concept that changed the face of suburban living. "Hanging out at the mall" was and is the favorite pastime of teenagers all over American and seniors have created walking programs that are centered in their local malls. In suburbs all across the United States, the mall is the town square, the city center. Jim Rouse was a man of vision and an individual who had the drive and resources to erect an entire city where none had existed before. As a young boy Michael Chabon, creator of literary worlds, watched daily as a city sprung from the abstract to the concrete. According to Business Insider, Michael Chabon is Washington, DC's most famous author and while Chabon was born in DC, he claims Columbia was the place that made the most impact on him growing up. Chabon plans and creates stories of texture, color and meaning out of his imagination. He watched as Rouse created a city out of brick and mortar from his imagination. In 1967 Rouse put into motion a plan for a city that was remarkable for multiple reasons. The racial unrest of Baltimore specifically and the decay of American cities generally formed his vision for another kind of city. Columbia was to be privately funded and as such followed a corporate structure in its development. A vision statement, private management and the idea of citizenship and personal responsibility came together to form the vision for Chabon's childhood home. The vision statement crafted at its inception included commitment to green spaces, racial diversity and to "provide the best possible environment for the growth of people". These are certainly lofty goals when most towns and cities are mainly focused on getting the garbage picked-up. Chabon's father was the first to receive a VA loan to build a home in the new city. The local paper covered the news with excitement as Columbia was taking form. I smile as I think about today's social media gurus who tout branding and marketing as though it were a current day creation. Rouse understood the need for personal and professional branding and marketing as a tool to reach a goal. In 1970, seven year old Chabon moved into his new house and neighborhood along with hundreds of other like-minded families. I can imagine the excitement of making new friends and being at all the "firsts". 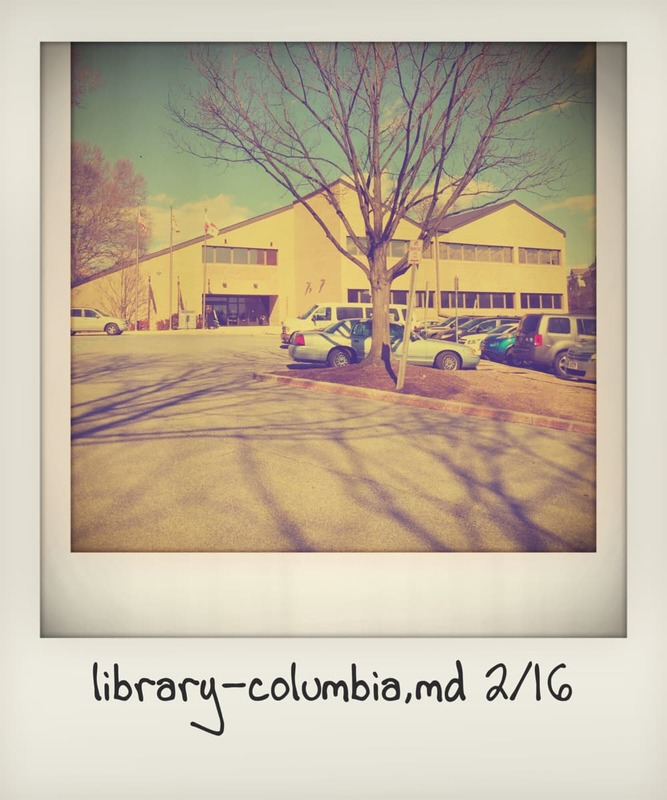 The first day at a new schools, the opening of the first centrally located library in Columbia, the first office building and all the other first that were witness by Michael Chabon and his family and friends. How does a place shape a child and what values will he or she inculcate regardless of what is said by the adults around them? As parents, educators and therapist that question is asked daily and we look for "signs" to give us insight. In Michael Chabon first novel, The Mysteries of Pittsburgh, Art Bechstein, the reluctant hero of his own life, struggles to put into words the goal of "evolution, of men and of women" by simply stating "a manifestation of the will-to-bigness". 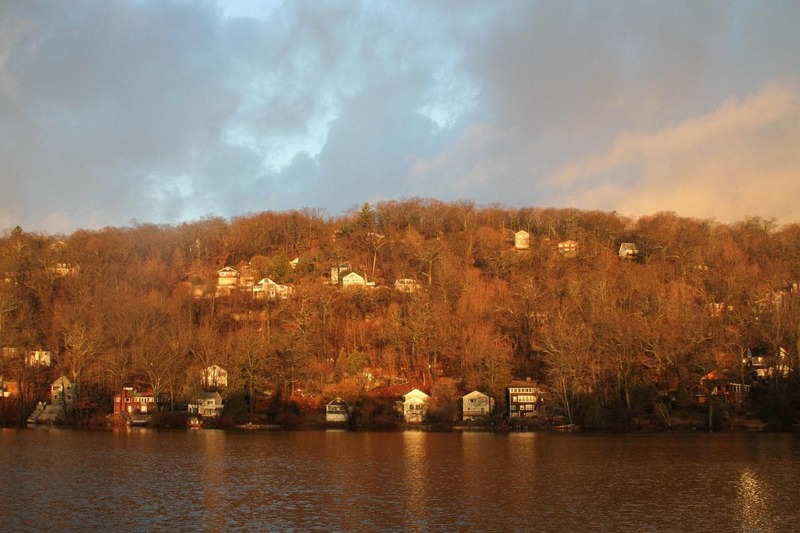 Rouse wasn't going to just build a planned community; he was going to do what no one had done in the United States before, build a planned city from scratch. As a writer, Michael Chabon wasn't just going to tell a story, he was going to create a world. PS: Bloggers are given a good deal more freedom than traditional journalist and educators when writing for the Internet but I am uncomfortable not sourcing some of the things I say. I also don't want to sound like a textbook so I am going to attempt to land somewhere in the middle. Most of the facts and dates on Columbia in this piece came from the booklet COLUMBIA AT 20-A Renewed Idealism March 22, 1987 6:00 PM The Kttamaqundi Room, The Rouse Company, Columbia, Maryland. Some very nice people at the local library found this for me in the reference area along with other materials. 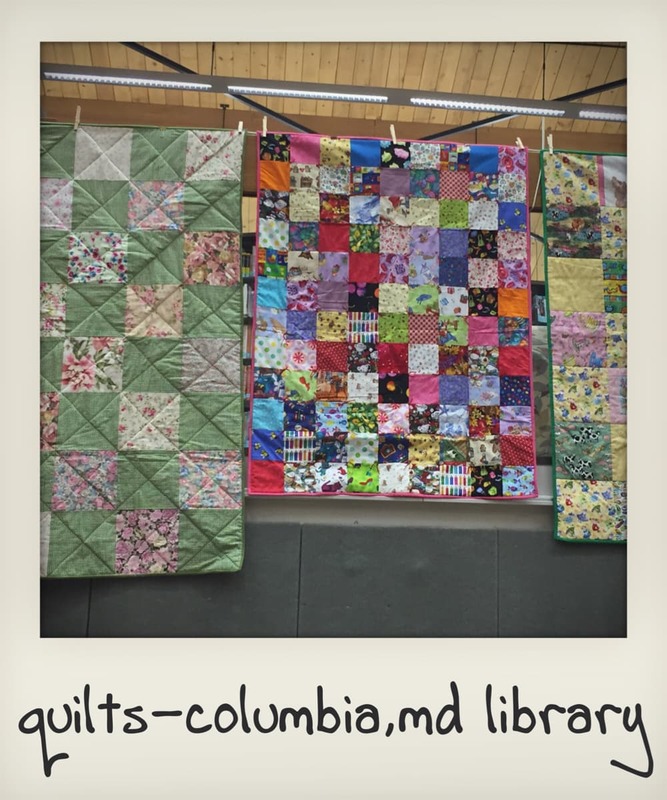 You may have a little difficulty finding said booklet - unless you want to take a road trip - to fact check this piece because you will need to go to the Howard County Library System-Main Branch to secure the hardcopy. Also I met with a lovely woman by the name of Barbara Kellner at the Columbia Archives and together we discussed Columbia, its history, Jim Rouse, urban planning and planning for the Fourth Quarter of life. Simone de Beauvoir, Jack Kerouac and John Steinbeck's French poodle, Charley, all took the quintessential road trip to discover America. Their discoveries revealed as much about their fetishes and ideals as it did about America in their day. I vaguely remember a TV show from the early sixties, Route 66, that showcased its generation's McDreamy and McSteamy as they followed route 66 looking for the perfect place to settle. Maybe I don't remember the TV show at all, memory is an illusive and deceptive human faculty, my true recollection of the TV show is the music, a Nelson Riddle composed number that is brought to life by Ray Sherman on the piano. As I shift into gear I begin the self-talk necessary to unlearn years of training by a father with a heavy foot and a race care driver's mentality. I repeat over and over again that it is about the journey and not about the destination. In our family we took personal pride in setting a stopwatch at the beginning of a trip and then discarding all reason as we attempted to break our previous time record. Bathroom breaks were tied to the needs of the car, if the car could travel six hours on a tank of gas, our bladder was expect to do the same. We zoomed passed famous landmarks and dramatic landscapes at speeds that made everything a blur. Ours was a single focus, to shave off ninety seconds from our previous time. 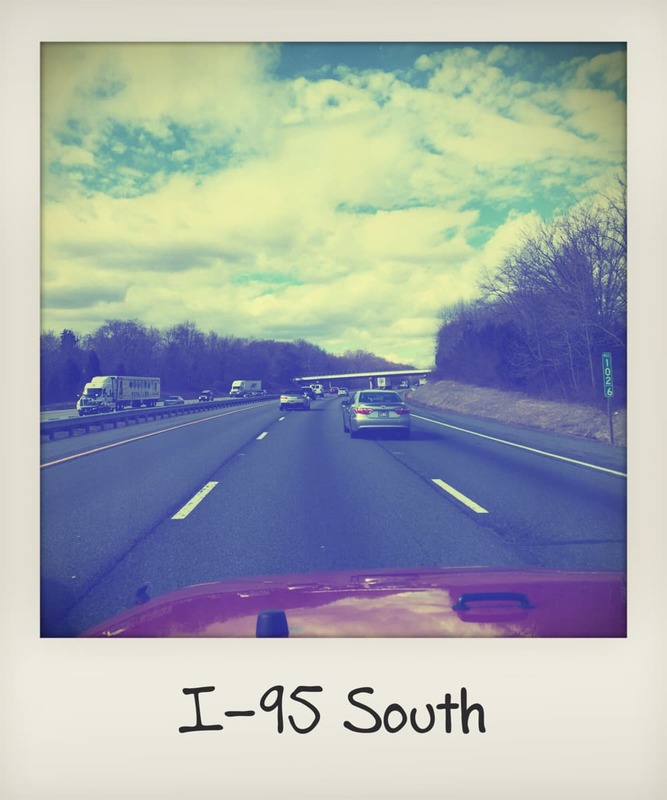 Long distance car travel is different today than it was when I was a child. State roads littered with Stuckey's and pastel pink motels have given way to the modern Interstate Highway System. President Dwight D. Eisenhower signed the Federal-Aid Highway Act of 1956 putting into place the Greatest Public Works Project in History. I've always admired Eisenhower because as a child I thought he built the Interstate System for me so I could quickly make the trip from Florida to North Carolina to visit my grandmother. As an adult I learned that General Eisenhower, after fighting a ground war in Europe, felt our road system would be inadequate if we were ever forced to move troops and supplies around the country. As I drove south on I-95 I couldn't imagine seeing large contingents of troops, tanks and Humvees in motion in the left lane heading to fight a ground war in the United States. Admittedly I did not imagine the potential for 9/11 or the Boston Marathon bombing either. Eisenhower also warned of the military-industrial complex and the Holocaust Deniers. I believe experience bestowed him with insights to human nature that have benefited our country. I reached Columbia, Maryland, the childhood home of author Michael Chabon, in a rational time stopping at reasonable intervals. Up North Mom and Pop restaurants and two pump Texaco stations have given way to service plazas. These brightly lit oasis house Starbucks, McDonalds, Cinnabon, gas and clean restrooms. With just a bit of embarrassment I confess that I like the new service plaza in Delaware and stop each time I am on that part of I-95 for a bio break and gas. If you have friended my Instagram, you will see the photo of the hot pink, I love Pope Frances tee shirt. I have promised to discuss America's authors and the places that helped shaped them but sometimes today my thoughts were more about the journey instead of the destination. Today is February 29 and a time for celebration. Happy Birthday to all the Leap Year babies! May you be blessed with health and happiness for another four years. Excitement is building as I plan for my next Footsteps blog series. I wrote last week about my obsession with the British TV show Midsomer Murders and the stories we tell through TV, the movies and books. My wondering led me to question why the Brits tell a story one-way and Americans tell the same story another. As I contemplated our differences, I asked, does place shape the stories we make? Do the idyllic landscapes of England produce storyteller with a more genteel sensibility? Does city living produce harder edged artist that produce darker and more ominous stories? In the midst of these ruminations, I came to the conclusion I should conduct my own "study". I am hitting the road to explore how pride of place shapes and influences the stories authors tell. If all goes well this will be a yearlong series. The first part of my tour takes me south and to be transparent, climate influenced my travel schedule more than a little bit. Washington, DC is my first stop where I explore the childhood neighborhoods of Majorie Kinnan Rawlings and Michael Chabon. I lived in Washington, DC for many years and I already know that Rawlings' DC and Michael Chabon's DC are very different places. I envision this series a little bit travel log and a great deal about some of America's most influential writers. If you are up for taking this trek with me and you haven't done so already, subscribe to this blog to receive updates. I will be posting "travel photos" to Instagram too. As Lao Tzu observed, The Journey of a Thousand Miles Begins with One Step and I am taking that step today. Hi Ho, greetings from the land of springtime! The calendar may state that it is February but temperatures in New York are mild and most definitely confusing the squirrels and my daffodils. This last weekend Marty and I sat in "our chairs" overlooking the lake, a still frozen lake I will add, and enjoyed a glass of bubbly. We marveled at the warm temperatures and the appearance of the sun during a period of time that is normally reserved for grey skies and a good bit of complaining by New Yorkers of all stripes. We are as confused by our good fortune as the squirrels. In addition to enjoying unseasonably warm temperature, I am indulging in a new guilty pleasure. 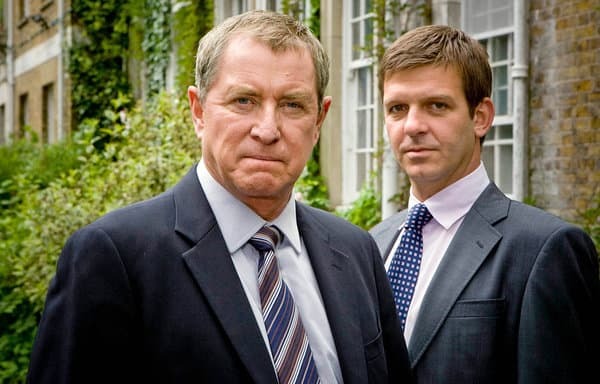 I am viewing the British TV murder mystery Midsomer Murders. I think of MM as equivalent of Law and Order because of its longevity though it doesn't require you to view gruesome crime scenes or watch the over the top histrionics of the police. The lead character, DCI Tom Barnaby, deliberately and doggedly works a case until the killer is apprehended. If the viewer actually listens and watches the show, he or she can deduce who committed the crime and why. Midsomer is a true murder mystery in the vain of Hercule Poirot and Miss Marple. Midsomer has triggered a firestorm of thoughts as I've watched the exploits of the people of Midsomer. If the stories told about life in Midsomer are to be believed then the following is true about life in England. There is no poverty in England. As a matter of fact everyone has homes, cars and clothes that reflect an upper middle class or above lifestyle. Fox hunting is a weekend event and taking your horse on a stroll through the village is a common occurrence. Everyone gardens and has encyclopedic knowledge of gardening. Gardens are serious business and if you want to terrorize your neighbor simply cut off the heads of their flowers and leave them scattered on the lawn. Green space and flora and fauna are sacred in England and if you harm an orchid, cut down trees or attempt to modernized the landscape in anyway, you will be murdered. There is no modern architecture in England and if you attempt to bring a supermarket or highway into the area, you will be murdered. The pub and the church are the only two public buildings in the village and if you attempt to change those places in anyway, you will be murdered. Sexual indiscretion is the plague of the upper class and if you engage in such behavior, you will be murdered. A gun is not the favorite murder weapon in Midsomer. Bonking someone on the head with a rock, tree limb, camera obscura crank or candlestick is more to their liking. A victim is occasionally shot but the gun of choice in those situations is a hunting rifle. The lack of firearms does not mean you won't be murdered if you engage in an activity that conflicts with the idyllic lifestyle of Midsomer. One murder invariably leads to a second or third killing but in the end, the killer is apprehended by well-adjusted law enforcement professionals and fairly punished by a functioning court. Midsomer Murders has led me to question the stories we tell ourselves. Are the tales we broadcast on TV, screen in movie theaters and stock on the shelves in bookstores reflective of who we are? Are the yarns we spin told as cautionary tales in the vain of the Brothers Grimm or are we sitting around our media like we once circled around a fire to hear and see modern day ghost stories? Why do we tell these stories and do they accurately reflect who we are? What do you think? Are these stories that are repeated over and over a true representation of who you are? Of who we are?